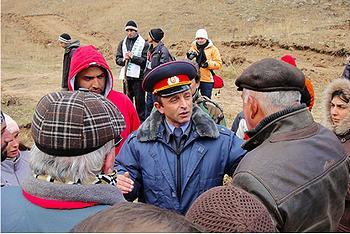 YEREVAN, Armenia, November 8, 2011 (ENS) – Armenia’s government has scrapped a new hydroelectric project in the north of the country following a vocal campaign by environmentalists. After months of demonstrations in Yerevan and elsewhere to save area of natural beauty, environmentalists began a sit-down protest at the Trchkan waterfall on October 25. Police visited the protest camp, but there was no confrontation. Activists say the 25-meter (82 foot) waterfall and the surrounding landscape would be at risk if a new hydroelectric dam is built at the confluence of two rivers between the Shirak and Lori regions. Karen Manvelyan, director of the Armenian office of the World Wildlife Fund, said an existing power station has already shifted the course of a river and killed off nearby trees. Campaigners gathered 10,000 signatures for a petition, prompting the opposition Heritage Party to call for the waterfall’s future to be discussed in parliament. At a November 3 cabinet meeting, Prime Minister Tigran Sargsyan announced that work on the power plant was to stop completely. 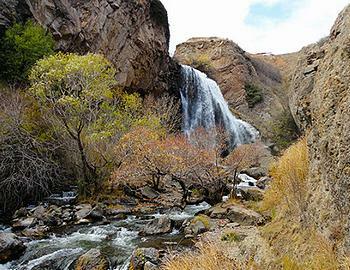 Prime Minister Sargsyan also said the Trchkan waterfall would be granted protected status. In response, environmentalists pointed out that the site had already been given protected status in 2008, yet three separate government agencies went on to award a construction firm called Robshin rights to exploit the river Chichkhan nearby. On October 31, the Robshin company withdrew its machinery from the construction site, saying this was done at the suggestion of Armenia’s environment ministry. Green Party leader Armenak Dovlatyan said he would not be declaring victory until numerous unanswered questions are dealt with, specifically why the pre-existing protected status was not enough to block the dam project the first time round. Dovlatyan wants to know whether the government was just restating its previous position or adding fresh safeguards for the waterfall. He said it was not enough to issue new instructions. If the old protections had been flouted, those responsible should face punishment. Activists from Save the Trkchan Waterfall, the pressure group behind the mass protests and the sit-in, said they are pleased work has been halted, but will reserve judgement on the government’s decision until they see the details of what it is proposing.